Ever since my daughter was born in September, we have enjoyed reading to her. Unlike some babies, she has always been very interested in the book, even though she may not understand exactly what was are saying. Now at ten months old, she enjoys trying to rip the pages up and chew on them- haha. Troy and I find education to be extremely important. We want to help Adalyn learn any possible way that we can. 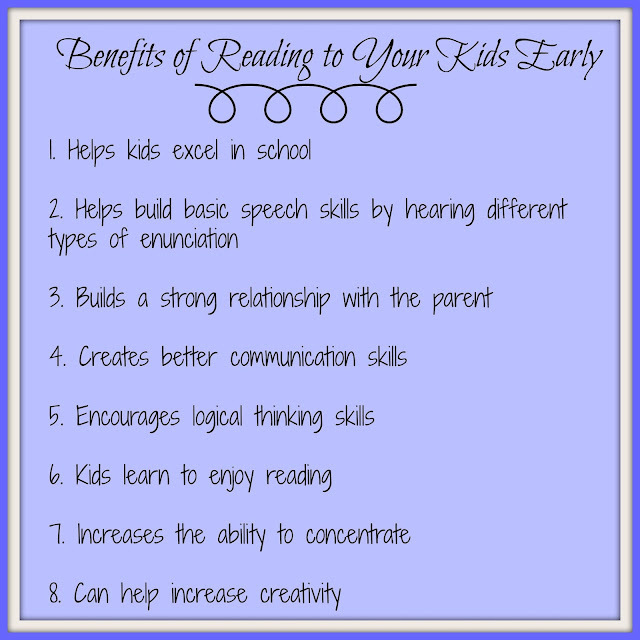 As a teacher, Troy knows the importance of starting young with subjects such as reading. Along with reading, I know my kid is going to be the 5 year old who knows a bunch about science because her science teacher dad talks about it every day at dinner ; ). We try to read Adalyn at least one book per day to help her hear a variety of words and sounds. Troy likes reading the crazy Dr. Seuss books while I like reading the ones about dachshunds (we have a million). This book Honey of A Dog is the best book because it seems to be written for our dog Ava who is a Queen. Since I found out that I was pregnant with Adalyn, I started buying a bunch of different kids books to build our collection. I am always on the lookout for awesome new books. Kellogg's has a program going on right now where you can purchase Kellogg's products and then redeem these codes for free Scholastic books. This would be great for parent's and teachers to get a bunch of books for their homes or classrooms. 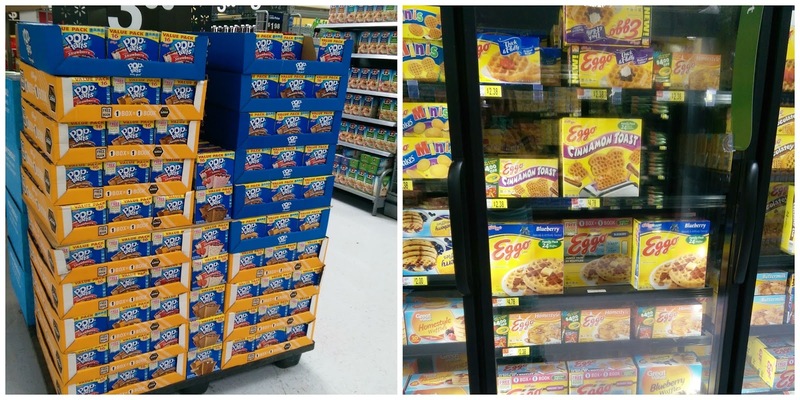 I purchased some Kellogg's products from Walmart including one my husband's favorite snacks which is reduced-fat Cheez-Its. For breakfast on a busy morning before work, he likes a couple of waffles so I bought these Kellogg's Eggo blueberry waffles in the 24 count family size for him. The minute he gets to school, he is way too busy to eat until lunchtime so these waffles are great for him for a super quick breakfast along with his coffee. 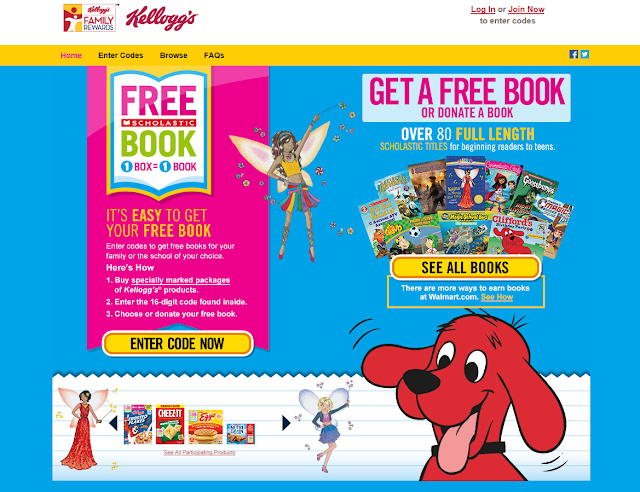 With the Kellogg's Family Rewards program, for each product you purchase, you can redeem for one Scholastic book. You can redeem up to 30 books. To redeem your points, you can upload your receipt via text, scanning into your computer or using the Kellogg's Family Reward app (when you purchase online from 7/21-9/11, look for buy now button at Walmart.com on eligible items). Create a Kellogg's Family Rewards account and enter your code. You have 14 days after your purchase to redeem. It takes 6-8 weeks to get your books but they will be mailed to you free of charge! I redeemed my Kellogg's purchases for books for Adalyn. I can't wait to build her library! If you don't personally need the books but want to help, you can donate your books to a school or family in need. There are 80 choices to choose from new readers to teens.